The BCN Cocktails products are ingredient combinations perfectly studied and developed in order to take advantage of the synergies between different active principles and increase their effects in face and body. The BCN Cocktails products are ingredient combinations perfectly studied and developed in order to take advantage of the synergies between different active principles and increase their effects in face and body. They can be used alone or be combined with other products from both BCN Classics and BCN Cocktails range. They are sterile (no preservatives or additives), so they achieve a great tolerance. They are packed in 10 ml unit dose vials, presentation that facilitates the mixture with other active ingredients. 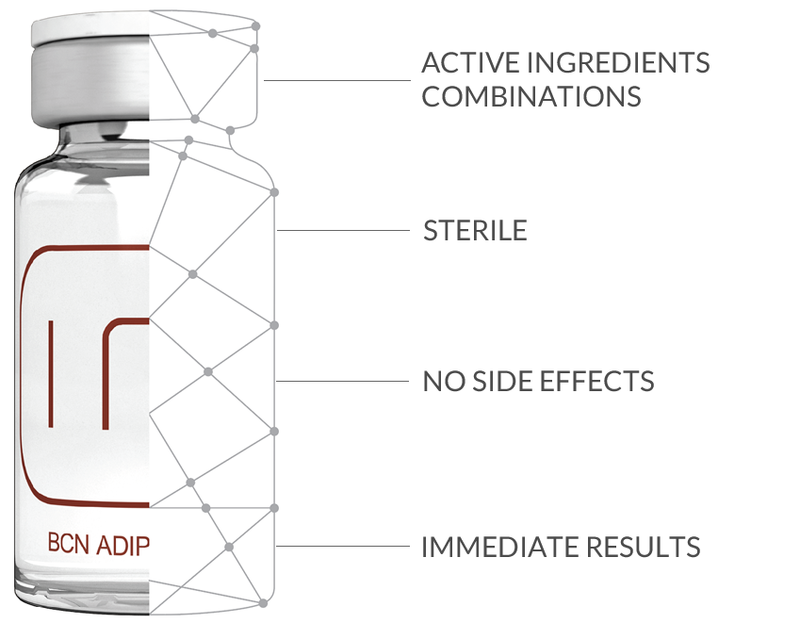 The Institute BCN Cocktails, combined with the most advanced transdermal delivery systems, provide patients the benefits of traditional mesotherapy but with a non invasive, safe and painless treatment, with no side effects and immediate results. Also they allow to create 100% customised treatments for each patient in order to effectively fix in a personalised way aesthetic problems such as skin ageing, localised fat, spots, hair loss, flaccidity, cellulite, stretch marks, acne scars, etc.